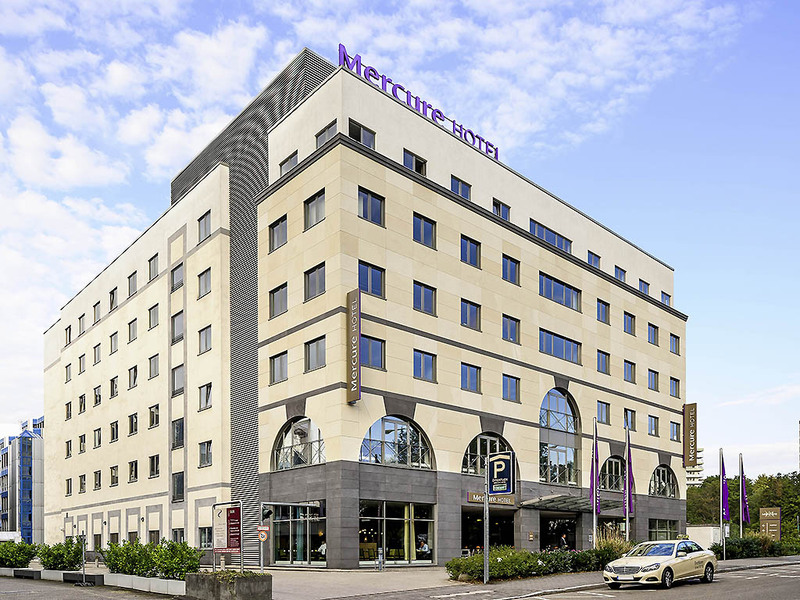 The 4-star Mercure Hotel Frankfurt Eschborn Süd has good transport links as it is located near the international financial and economic center of Frankfurt and close to the offices of high-profile companies. Our hotel has 125 air-conditioned rooms with free WIFI and high-speed Internet. We offer 2 meeting rooms for events. Arrival: The hotel is 6.2 miles (10 km) from Frankfurt main train station, 9.3 miles (15 km) from the airport and just 0.6 miles (1 km) from the A3, A5 and A66 highways. Eschborn has been dubbed a "boom town." Part of the economically prosperous Rhine-Main region, it is one of the fastest developing locations in the area. The fact that Ernst & Young, Deutsche Bank, IBM and LG all have offices here speaks for itself. The 4-star Mercure Hotel Frankfurt Eschborn Süd offers a choice of Standard and comfortable Privilege rooms. The 125 rooms are air-conditioned and are equipped with free WIFI and DSL. One child aged up to 15 can stay in your room free of charge. Pets are welcome (for a charge of EUR 10/night). Our laundry service is available on weekdays to take care of your clothing and laundry. In our bar "Pierrot" you have the opportunity to enjoy a cold beer or a good wine. Of course, we also serve other drinks as well as various small dishes and pizzas from our Kukumi Shop.